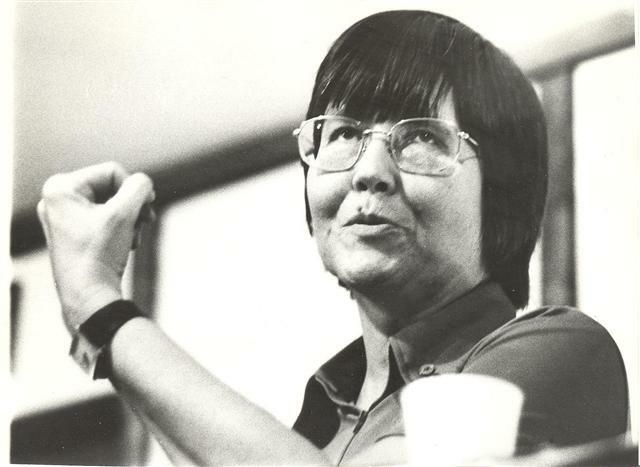 Mary Daly (1928 – 2010) was a feminist philosopher and theologian. Daly published a number of works, and is perhaps best known for Beyond God the Father (1973). Often regarded as a foundational work in feminist theology, this book is her attempt to explain and overcome androcentrism in Western religion. Daly created her own theological anthropology based around the context of what it means to be a woman. She was an ethical vegetarian and animal rights activist. She was the first woman to speak in Harvard's s Memorial Church. Upon closing her sermon she urged her "sisters and other esteemed members of the congregation" to join her in what she called "an exodus from centuries of darkness." More than half the women and some men in the congregation joined her in walking out of the church before the service was finished.